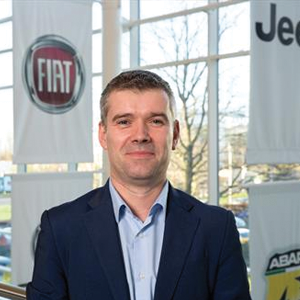 Arnaud Leclerc has been appointed Managing Director, Fiat Chrysler Automobiles UK & Ireland, and takes up his new role immediately. He succeeds Ashley Andrew, who has left the company. Mr Leclerc will oversee operations for all FCA functions and brands throughout the UK and Ireland, and reports directly to Alfredo Altavilla, Fiat Chrysler Automobiles’ Chief Operating Officer, EMEA region. Mr Leclerc (43) brings to the UK operation a high level of experience, having previously held a number of senior management roles in Britain and across Europe, including France, Scandinavia and Croatia. He has most recently held the roles of Deputy Director General PSA Groupe UK, and DS Brand Development Director UK. He holds a Master’s degree in Economics and gained a Master Marketing diploma from University of Paris Dauphine.